Hello everybody! This is Aylin from Posh Nail Art. Easter is only two weeks ahead, so we’d better start planning. 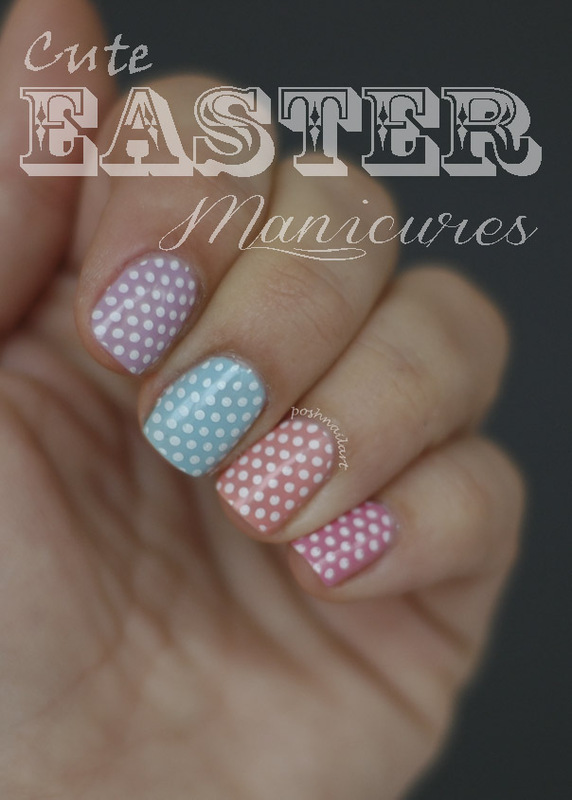 Today I’m going to show you some cute Easter Manis you can make. Whenever I hear the word Easter, Winnie the Pooh’s Springtime with Roo comes to my mind. God knows how many times I’ve watched that movie! It was Easter, and Spring Cleaning Day and Rabbit was bossing everyone around. So for this month, it was inevitable for me to use the color scheme from the movie; pinks, blues, lilacs, etc. 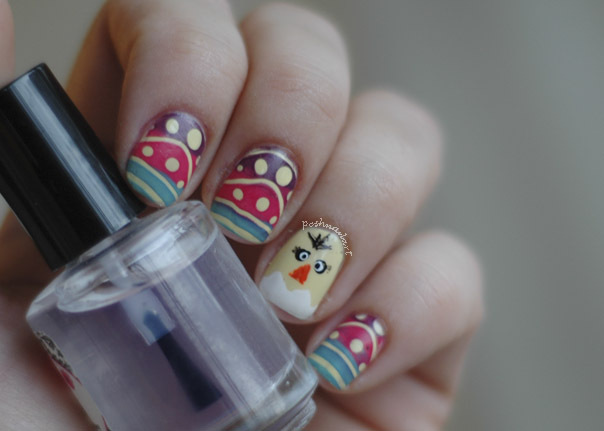 For my second mani, I made the Easter Chick. 🙂 I hand painted the chick & made the eyes with a dotting tool. I loved the surprised look on its face. 🙂 And the other fingers are stamped with a mixture of 3 colors. Don’t they look like easter eggs? 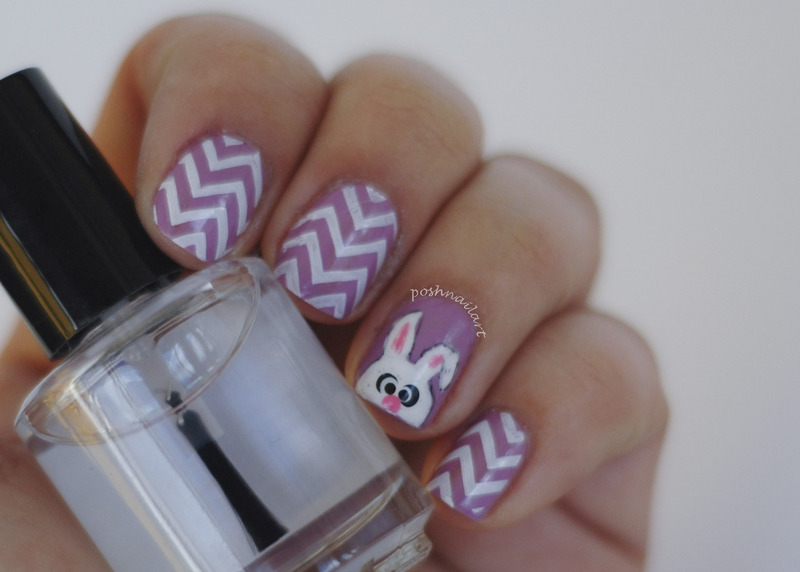 Finally, the Easter Bunny is here for our third mani. 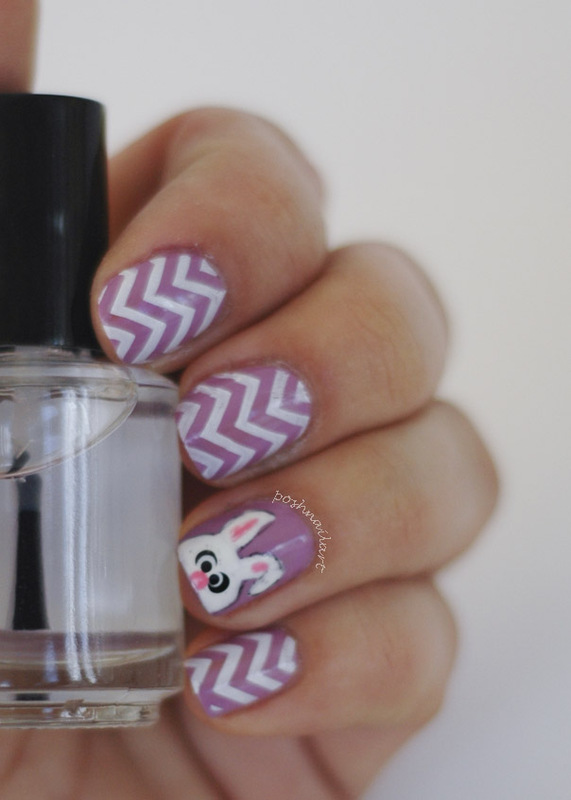 This time I used a lilac color as my base and hand painted the bunny with white nail polish. I did the eyes and the nose with dotting tools and outlined it with black polish and a thin striper brush. That’s all for now. Happy Easter everyone! 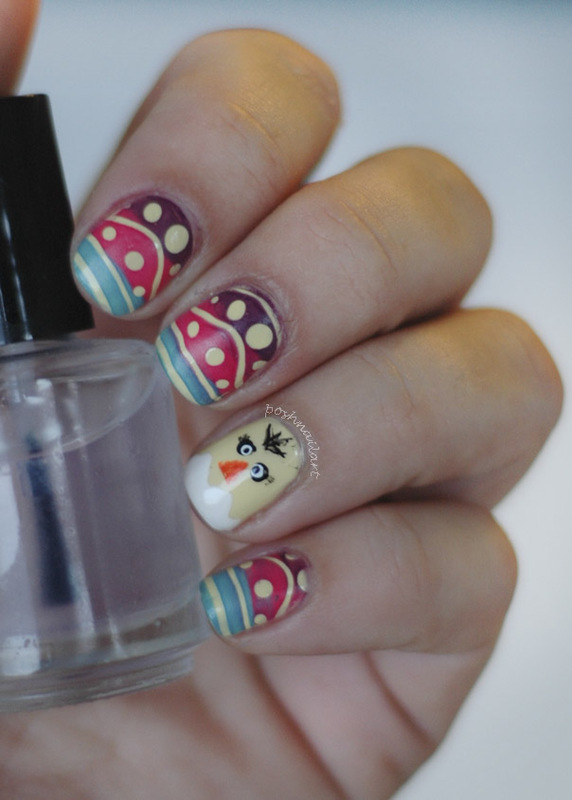 Untill next time, check out Posh Nail Art for more nail art designs.